Description: Use a process flow diagram to streamline your company's workflow. 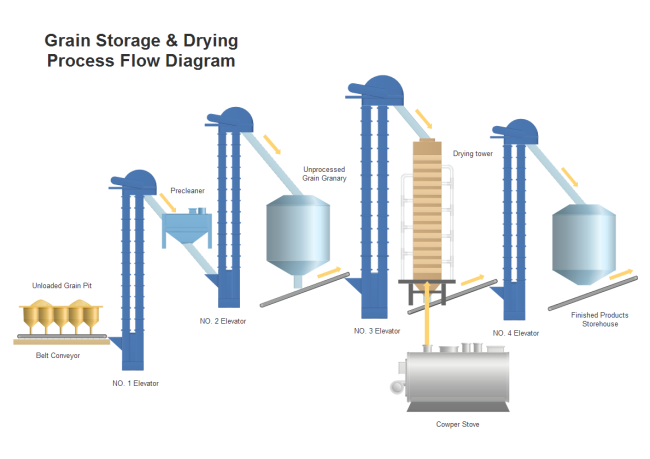 Here is a free, customizable and editable grain storage drying example created by Edraw. Download it for your own use.